Ready to take vaping to the next level and experience the large vapor clouds possible with a sub-ohm tank and a top-of-the-line box mod? 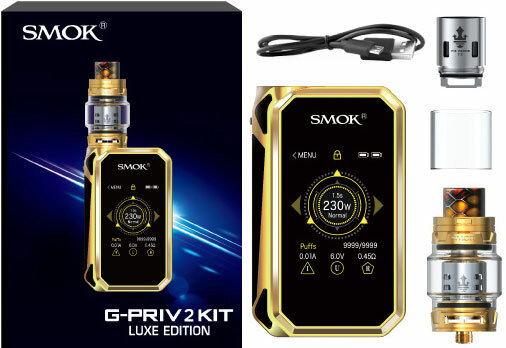 The SMOK G Priv 2 Luxe Edition 230W Touch Screen Starter Kit will help you get started with ease, giving you the cutting edge SMOK G-Priv 2 230W Box Mod and the SMOK TFV12 Prince Tank all in one package. 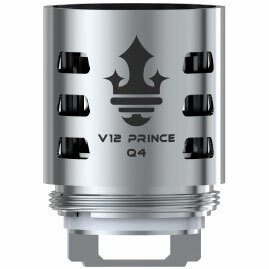 You'll also receive a pre-installed V12 Prince Q4 0.4ohm Quadruple Coil Atomizer Head, V12 Prince T10 0.12ohm Decuple Coil Atomizer Head, replacement glass, spare parts and a micro USB cable with this money-saving starter kit. The SMOK G-Priv 2 Luxe Edition 230W Box Mod is proof that a box mod doesn't have to be bulky to be mighty. Its carbon fiber housing measures only 85 millimeters by 52 millimeters by 27.3 millimeters in size, yet it boasts a maximum wattage rating of 230 watts. 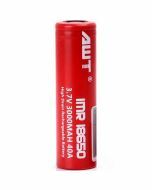 The smallest vape that can accommodate two 18650 batteries, the box mod is simple to carry with you wherever you go. An ergonomic design ensures your comfort, so you can focus fully on your vaping experience. 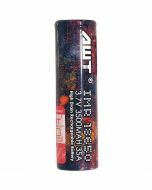 Gone are the days of having to fumble with multiple buttons and dials to set your box mod how you like it. With the SMOK G-Priv 2 230W Luxe Edition Box Mod, you can be ready to vape as easily as you answer a call or send a text on your smartphone. 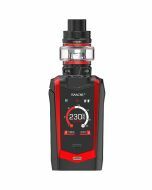 That's because this SMOK mod features a 2-inch full-color touch screen with an intuitive menu. All of the options are accessible with a simple tap, meaning you can set up your vape, check the battery life and count your puffs in seconds. Even the lock-unlock feature is streamlined to ensure ease of use. 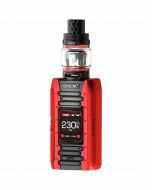 The SMOK G Priv 2 Luxe Edition 230W Touch Screen Starter Kit opens the doors to infinite vaping possibilities. 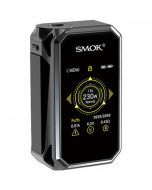 For enormous vapor clouds, set the SMOK G-Priv 2 Luxe Edition 230W Box Mod to VW mode and choose the exact level that you prefer for a power output of 1 to 230 watts with Soft, Hard, Normal or Max sub-settings. 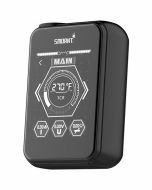 Flip to Temperature Control mode to savor the flavor of your e-juices at temperatures of 200 to 600 degrees Fahrenheit and support for Ni200 Nickel, titanium and stainless steel coils. What's more, the SMOK TFV12 Prince Tank is compatible with a complete family of heads. With two batteries on board, the SMOK G-Priv 2 230W Box Mod Luxe Edition is able to last through countless vaping sessions. A dual battery life indicator lets you see just how much power remains in each of the cells for greater insight into session length. Plus, the low battery warning reminder will ensure that you never forget to recharge. 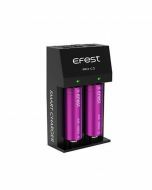 Removing the batteries for charging is easy, as the vape features an easy to access battery cover. For your peace of mind, the SMOK G-Priv 2 230W Box Mod Luxe Edition is packed with safety features. The Intelligent Atomizer Recognition technology automatically senses what you have loaded in your tank and optimizes performance in response. A Puff Monitoring System regulates heating and power to suit the length and frequency of your draws. 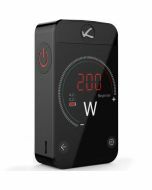 With 10 second shut off, the vape prevents over-drawing, and short circuit and over-heating protections reduce the risk of accidents while you vape. 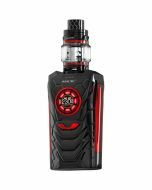 The SMOK TFV12 Prince Tank in the SMOK G Priv 2 230W Luxe Edition Touch Screen Starter Kit is designed to deliver a satisfying experience with each and every use. 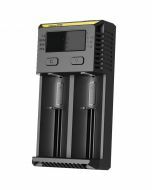 A delrin drop top enhances airflow, so you can take large, powerful draws without restriction. For flexible airflow control, the vape tank features two large adjustable air slots in the top. 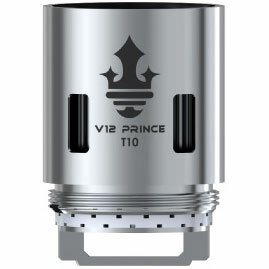 Keeping the SMOK TFV12 Prince Tank filled is an oh-so simple task. The sub-ohm tank features an extra large e-liquid slot that allows for quick and easy dispensing. You can fill the tank in just seconds right from the top, and the press and rotate cap keeps leaks at bay.